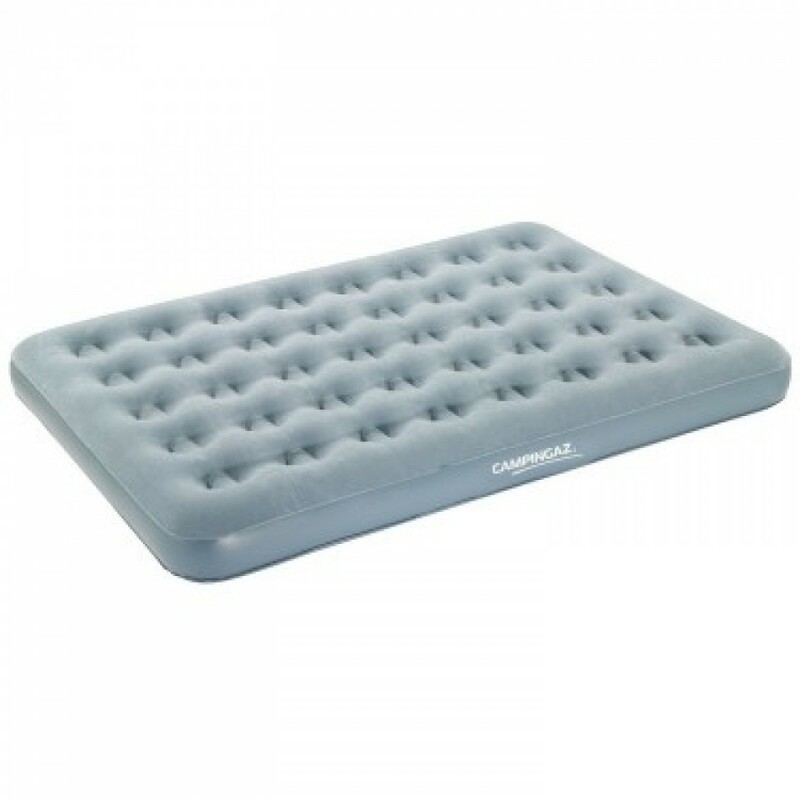 A reliable and comfortable inflatable bed for camping or to use as a spare bed Campingaz Quickbed airbeds are flocked inflatable mattresses fitted with the exclusive Airtight system for a leak-free more resilient bed. This system features an advanced Double Lock™ valve which locks in air two ways. Additional benefit is the durable PVC which is highly puncture resistant. Campingaz Quickbed airbeds fit tent sizes for outdoor use whilst the soft, anti-slip top material and coil structure ensures strength, firmness and comfort while sleeping.